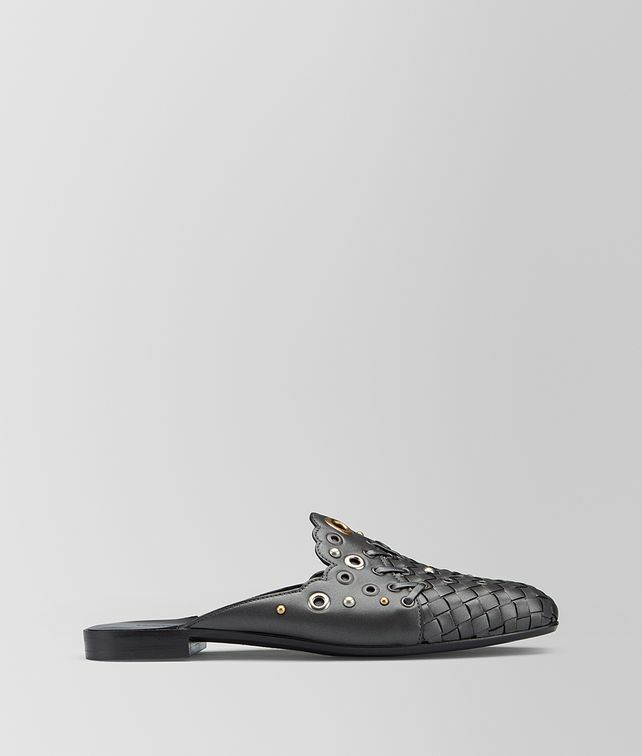 New for Cruise 2019, this backless Fiandra slipper is crafted from metallic nappa in smooth leather and handwoven intrecciato. The smooth leather panel has a scallop-edge vamp and is embellished with eyelets and studs in different sizes and finishes. The border between the smooth and woven leather is accent with oversize nappa stitches. The comfortable yet statement-making style is finished with a cushioned interior.